Equipped with a 14 inch FHD display, brings your photos and videos to life. 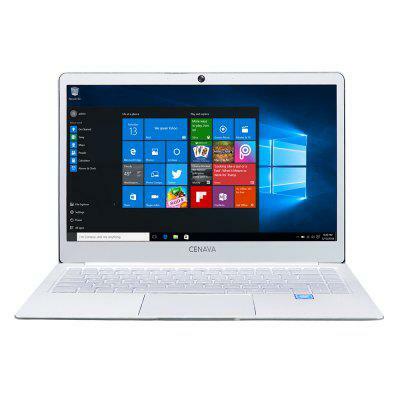 Powered by Intel Celeron N3450 CPU processor, ensures high performance. Mini HDMI technology integrates your other devices, so you can easily switch from your Notebook to your smart TV or smartphone while working and playing. 3.7V / 9000mAh battery can meet the current, power and the temperature and increase the performance dynamically. Dual band 2.4GHz / 5.0GHz WiFi supported, ensures you high-speed surfing. Want to be notified when the Cenava P14 Notebook 6GB + 120GB gets even cheaper? Make sure you snag the best price by entering your email below. We'll email you when the price drops, free! We're tracking the price of the Cenava P14 Notebook 6GB + 120GB every day so you know if that deal is really a steal! Check back for to check the best price for this product - and whether its current sale price is really the cheapest it's been! No Cenava P14 Notebook 6GB + 120GB coupons found!